How the legalization of adult marijuana use may influence youth marijuana use is an issue of great concern to policy makers and the public health community, especially in states that have legalized—or are moving toward legalizing—marijuana for adult recreational use. Join us as we explore these issues from the perspective of experts in two states that were among the first to legalize marijuana for adult recreational use: Oregon and Colorado. 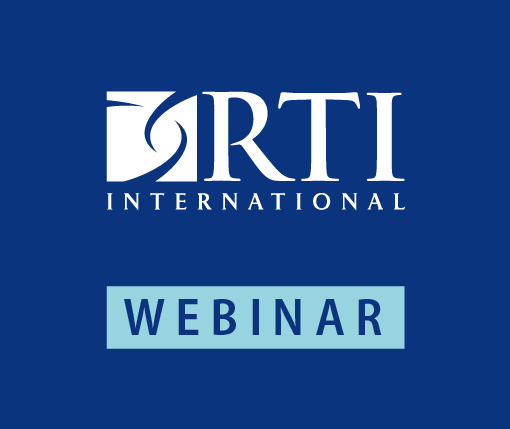 The 1.5 hour-long webinar (with Q&A) will be moderated by RTI experts Jane Allen and Matthew Farrelly and will feature presentations from Julia Dilley of Oregon and Daniel Vigil of Colorado. What information do we use to gain insight into the impact of retail legalization on youth? How are risk factors for youth marijuana use different after legalization? How has retail legalization affected adverse health events and substance abuse treatment among youth? Are more or fewer youth facing school discipline or criminal justice encounters after retail legalization? Julia Dilley is a Senior Research Scientist and Principal Investigator with Program Design and Evaluation Services (PDES), an interagency public health research and evaluation unit within Multnomah County Health Department and Oregon Health Authority. She received her doctorate in epidemiology from the University of Washington. Dr. Dilley has worked in public health for 20 years supporting state and local health departments and tribes in Washington, Oregon, Alaska and New Mexico. Her recent research focuses on public health law, especially alcohol, tobacco and marijuana policies, including a study documenting the public health impact of marijuana legalization in the Pacific Northwest. Daniel Vigil is a physician specializing in preventive medicine and public health. He manages the Marijuana Health Monitoring and Research Program at the Colorado Department of Public Health and Environment. This program has three main functions. They review available scientific literature on health effects of marijuana use and synthesize the findings into public health statements. They monitor data on marijuana use and its impacts in Colorado. Finally, they administer research grants provided by the state on both medical and recreational marijuana use.